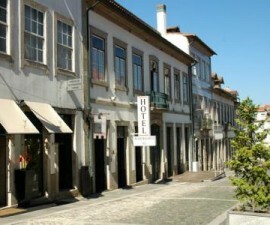 Located in a traditional house in the centre of Braga is a hidden gem — the Senhora A Branca Hotel. 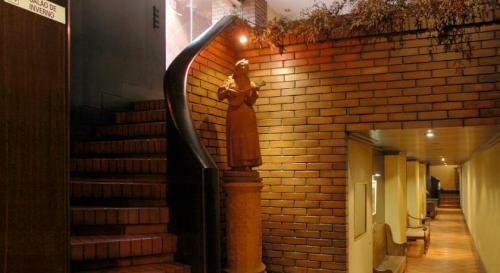 This is a place where modern and traditional meet to great effect. 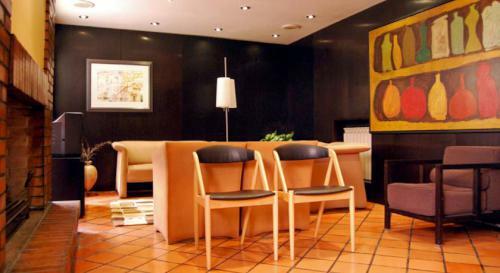 While many of the furnishings are heavy and dark, reminiscent of a period passed, the hotel also has a contemporary feel, with many sleek lines and plush, comfortable furnishings. 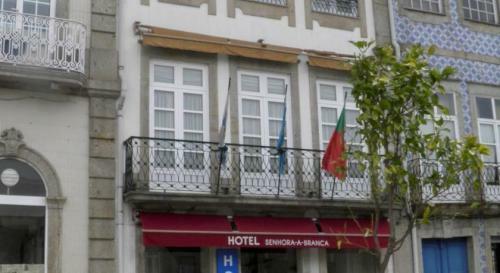 The Senhora A Branca Hotel is situated on an old square of the same name, the Largo da Senhora A Branca, in an area close to the University of Minho, one of Portugal’s leading educational institutions. 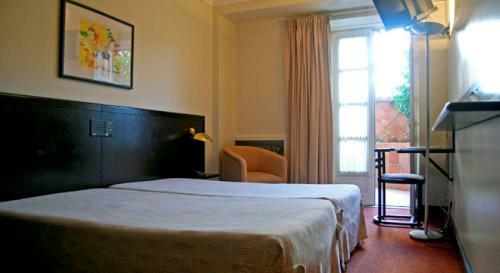 Braga’s city centre is within easy reach on foot or by bus, making this the ideal choice for anyone wanting to explore the delights of this Portugal’s oldest city. 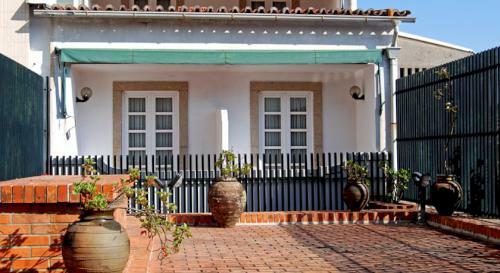 The Cathedral, the D. Diogo de Sousa Museum, the Praça da Republica and the Santa Barbara Garden are all waiting to be explored, along with the many shops, bars, restaurants and leisure venues that line the narrow streets. 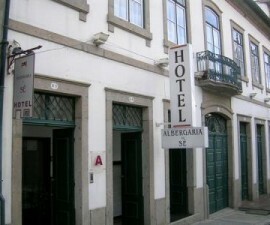 Like many of Portugal’s ancient cities, Braga is compact and best explored on foot so guests are invited to leave their cars free of charge at the hotel’s car park. The front desk is manned 24 hours a day for arrivals and departures. 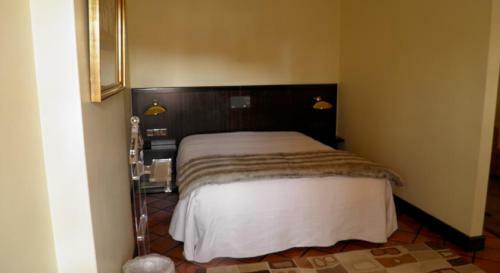 The hotel offers twenty individually decorated rooms, with a mix of singles, twins, doubles and suites meeting the needs of its diverse clientele. 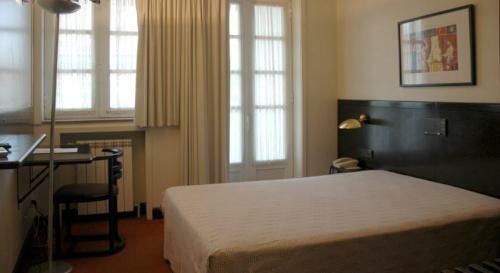 All the rooms have air conditioning, a seating area with sofa, en-suite private bathroom, balcony or terrace, safety deposit box and television with cable channels. 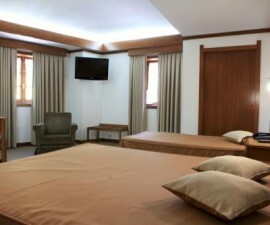 Most of the rooms are above average size, making this a great choice for those looking to spend more than a couple of days to explore the area. 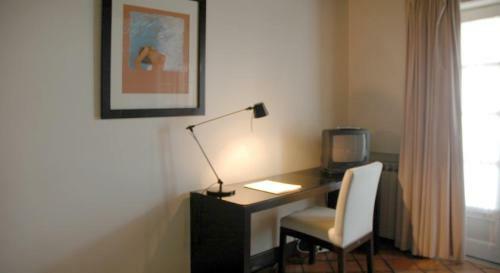 A dry cleaning, shoe shine and laundry service is also available as is room service throughout the day. 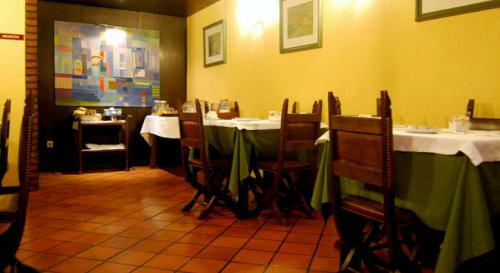 Breakfast may be taken in the room by arrangement or in the breakfast room. 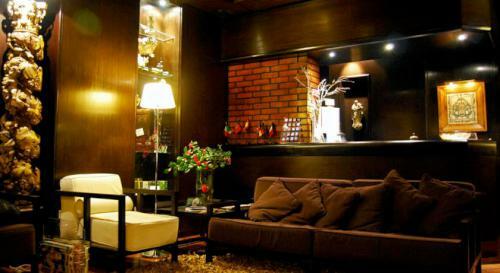 Cold drinks are available at the bar from morning to night and Wi-Fi is available throughout the hotel’s public areas free of charge for the benefit of its guests. 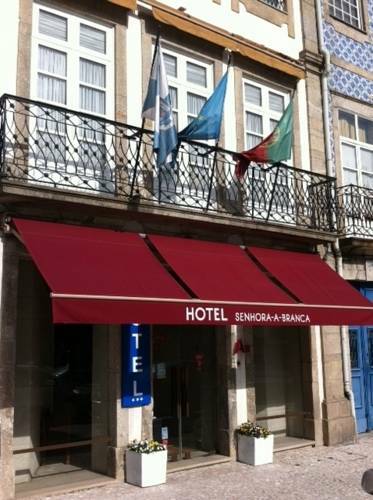 For an individually styled, friendly establishment, look no further than the Senhora A Branca Hotel. 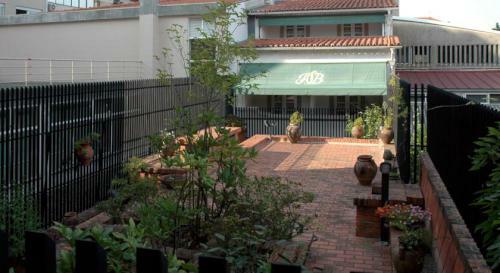 Ask for a room to the rear for a larger terrace or request a room at the front to make the most of the people-watching opportunities over the square below.